The employment drug screening test has become a requirement for many companies. The majority of all Fortune 500 companies do employee drug testing. The US Department of Labor has estimated that drug use in the workplace costs employers up to $100 billion dollars annually in lost work time, accidents, health care costs and workers compensation costs. Drug screening for employment helps the employer to develop a healthier and more productive workforce and improve profits. Employers are encouraged, through the drug-free workplace program, to monitor drug and alcohol abuse in the workplace. Legally employers have established that it is within their rights to screen out drug abusers before they become employees. An employer can establish a program for testing job applicants for drug usage as long as it is administered fairly and consistently and is in line with federal and state laws. 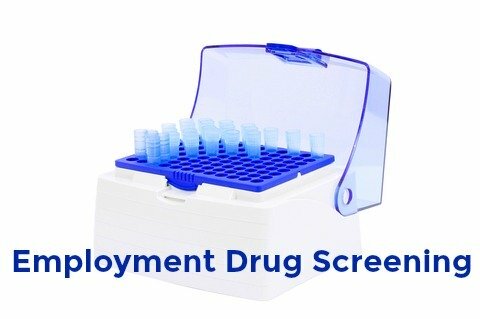 The laws concerning employment drug screening vary from state to state. Some states require that employers may only test applicants once they have been formally offered a position conditional on a negative drug test. Other states do not have this requirement. It is important that the correct procedure for drug testing is followed and that a candidate's rights are not violated. Employers should have a written drug testing policy that requires job applicants to be drug-free. Written notice of testing is given before the applicant may be tested. Many drug and alcohol testing laws require that job applicants be notified in advance that they may be tested and under what conditions. Written notice is given to the applicant that employment drug screening is required before hiring. This may be done through the employment application form or on a specific form given out at the first interview. The written notice details the type of drug testing that will be carried out and lists the over-the-counter medications that may produce a positive result. In accordance with certain state laws the applicant may need to be given a conditional job offer letter that indicates that the offer is conditional on completion of a drug test with a negative result. The same testing program should be implemented for all applicants in a particular job category or there could be implications of discrimination. It is worth noting that a company with over 15 employees is subject to the Americans with Disabilities Act, a federal law that protects people with disabilities from discrimination. This Act prohibits pre-employment medical examinations before a conditional offer of employment has been made but a test to determine if an applicant is illegally using drugs is specifically exempted from the definition of what constitutes a medical examination. What Happens During Drug Screening for Employment? Generally job applicants are sent to a collection site where a urine sample is obtained and then sent to a certified laboratory for analysis. Urine drug testing is a common type of drug screening primarily because it is inexpensive and non-intrusive. Oral fluid testing (saliva) is becoming more common as it is viewed as a more reliable drug test. Test results are usually available within 24 to 48 hours. Other testing methods such as hair testing, blood tests, and breath tests are also used. Some employers use instant test kits similar to a home pregnancy test. These tests are considered accurate for immediate screening but are not effective in the event of a positive result because that requires laboratory confirmation and keeping of the sample for retesting. The most common employment drug screening is a standard five-panel test, called a "Five-Screen", of street drugs including marijuana, cocaine, PCP (Phencylidine), opiates such as heroin, morphine and codeine, and amphetamines. A "Ten-Screen" test is sometimes used which expands to include these five prescription drugs that are legal to possess and use- barbituates (phenobarbital etc), mathaqualone (Qualudes), benzodiazepines (tranquilizers such as Valium, Librium, Xanax) and Methadone. What about the timing of the employment drug test? Although it varies from person to person most drugs stay in the system for 2-4 days, however hair testing and some other more expensive drug tests can detect drug usage for up to 90 days. Chronic drug usage can be detected for up to 14 days or more while sedatives may stay in the system for up to 30 days. Usually the employer will insist that the urine sample is given within a specific time period so that drug users do not wait until the drugs have left the system. If a test is positive most labs will carry out extensive procedures to confirm the result before they report it. Most drug testing programs use an independent physician to review all test results. If the result is positive the physician will usually contact the applicant to find out if there is a medical explanation for the result. If the positive test is confirmed the candidate should have the right to pay for re-testing of their sample by another laboratory of their choice and samples of all positive tests are kept for that reason. However the chances of a false positive are virtually nil. There can also be a test result that is "negative" but shows an abnormal result that indicates an attempt by the candidate to alter the results such as drinking excessive water to dilute the sample. These results are examined further and another sample may be required. All drug testing results should be kept on a confidential basis. Latest Update - How Do New State Marijuana Laws Impact Employment Drug Screening? As certain states pass laws legalizing recreational and medical marijuana use, drug testing may become more complicated. Although a number of states allow "recreational" use of marijuana and over 20 states allow the use of "medical" marijuana, marijuana use is still illegal on the federal level. Employment experts agree that employers still have the right to a drug-free workplace policy that prohibits the use of marijuana. The information provided here is for guidance purposes only and should not be construed as legal advice.